Are There Any Crystals That Should Be Avoided? I am new to the crystal world. Are there any crystals that someone should not possess ( like have a negative effect or other undesirable results)? The short answer to your question would be -- no, there aren't any crystals that one should avoid. However, it is good to keep in mind that crystals work by interacting with our personal energy field in various ways and this is why we at Healing Crystals often advise that it is best to go with intuition when choosing a crystal, since intuition is our body's way of telling us what is good for us in a particular moment. 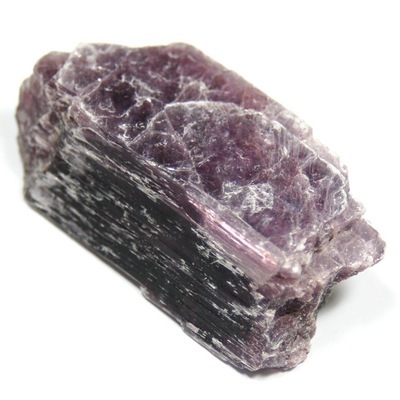 Crystals work on the basic principles of physics (resonance--vibratory rate) and chemistry (each crystal has a particular chemical composition), so when we suggest for instance Lepidolite for restful sleep, we do that because Lepidolite contains the mineral Lithium, which is used for inducing the states of relaxation and calmness. Just by holding a crystal this property of lithium is transmitted to the body in small doses through the principle of resonance. There is much more to this, but this would be a brief explanation. Similarly, when someone asks which crystals are good for calming anger, we typically do not recommend the red colored crystals, since they typically contain minerals that are good for stimulating a personal energy, but white and lilac ones, since they are more calming. So in this sense one may want to choose/avoid specific crystals to work with depending on the goal in mind. The more you get to interact with crystals yourself, individually holding them or meditating with them at least three days in a row, and then following how you feel throughout the day, the more you'll know what particular crystals do for you, and therefore you'll be better able to choose. If you get a crystal for a particular purpose, give it at least about three weeks to see what kind of effect it has on you, long-term. And of course, if you want to learn more, please take a look at our resources in the Guides and Articles section (https://www.healingcrystals.com) , subscribe to our Newsletter (https://www.healingcrystals.com/newsletters.html) and come to our Facebook page (https://www.facebook.com/crystaltalk) where we post various tidbits about crystals daily.